3 teams of equal amount with 1 ball per group. 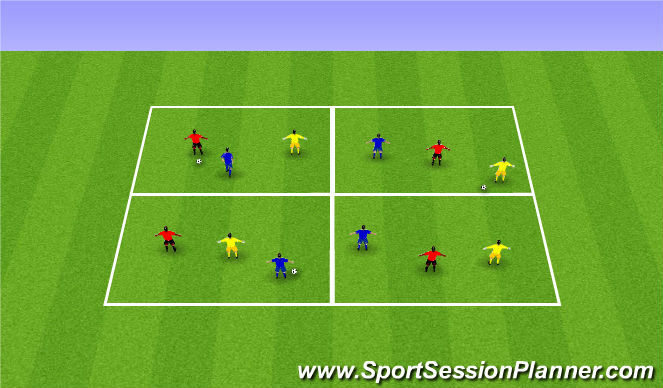 Teams must move ball around with 1 member of each time in each box. Once pass the ball players most move into new area. 3 team possesion game with same consept. Yellows look to defend and score on counter attack. Controlled possesion and forward passes into wide channel.